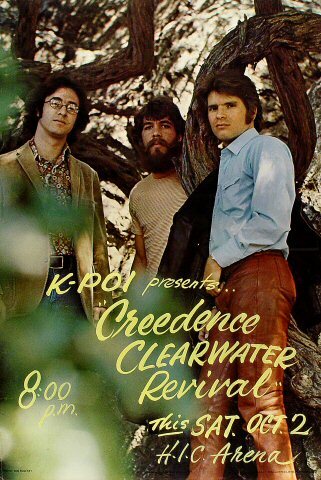 It was a little frustrating being a rock music fan growing up in Hawai because the only concerts we’d usually get in the ’70s were big acts on the way to Japan or Australia. There were maybe five big shows a year and the clubs were overrun with cover bands for the tourists and G.I.s. 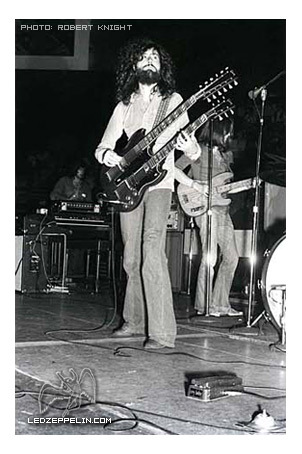 But in a single month of 1971, Honolulu hosted concerts by the Jackson 5 (with the Commodores opening), Led Zeppelin and Creedence Clearwater Revival. Here we had the world’s greatest pop star on Sept. 12, the world’s greatest hard rockers on Sept. 16 & 17 and America’s greatest rock band on Oct. 2 on an island nicknamed “The Rock” for its isolation. 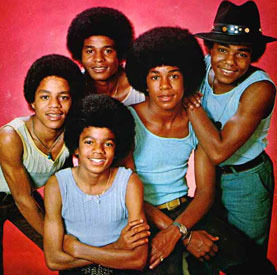 I was 15 and new to town, without a job, so I could only afford to see one of those acts- the Jackson 5, my favorite band at the time. 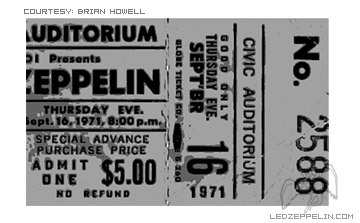 Never regretted that decision, though it sure would’ve been nice to have memories of seeing Led Zeppelin in concert. The legendary concert promoter Tom Moffatt, the former KPOI DJ who put on all those Elvis Presley shows in Hawaii, had hosted Led Zeppelin at the 8,500-capacity HIC earlier in 1971. Moffatt has written about how the band had so loved the house he rented for them between the base of Diamond Head and Waikiki Beach that after a tour of Asia, Led Zep wanted to stay in the house another month, just to chill out. Somewhere in there, Moffatt convinced their manager Peter Grant to book the band for two shows at the 2,000-capacity Civic Auditorium- mainly used for roller derby and pro wrestling- on September 16 & 17, 1971. It was two months before the release of “Led Zeppelin IV” with “Stairway to Heaven” would make them the biggest band in the world. We’re talking “Immigrant Song” era Led Zep, which was still pretty big. I remember the shows selling out in a day, which almost never happened back then because most tickets were sold at record stores and waterbed showrooms. Some of my friends went to see Led Zeppelin at that relatively small venue and they talked about some girls taking their tops off and I was thinking that maybe I made a mistake by not going. If they hadn’t played less than two weeks after the J5 I surely would’ve went. But seeing Michael Jackson two weeks after he turned 13 isn’t a bad runnerup. This entry was posted on July 25, 2013 at 6:26 pm	and is filed under Music. Tagged: Honolulu, Jackson 5, Led Zeppelin. You can follow any responses to this entry through the RSS 2.0 feed. You can leave a response, or trackback from your own site. I was there too! And I, like Michael was 13. I lived on Hickam AFB and Michael’s uncle was stationed at Hickam. The guys went out to the base that Saturday to watch their cousins play football. I didn’t get to see them there but I heard all about it. I totally don’t remember the the Commodores opened for the Jackson 5. We had great seats. About row 13 center.